Improving your kitchen is a fabulous way to invest in your happiness and your financial future—that is, if you do it right. Consider these top seven kitchen countertops for your dream kitchen. As stone would make you think, granite is a sturdy, lasting option for kitchen counters. It is available in countless styles and colors, but requires professional installation and sealing for guaranteed longevity. 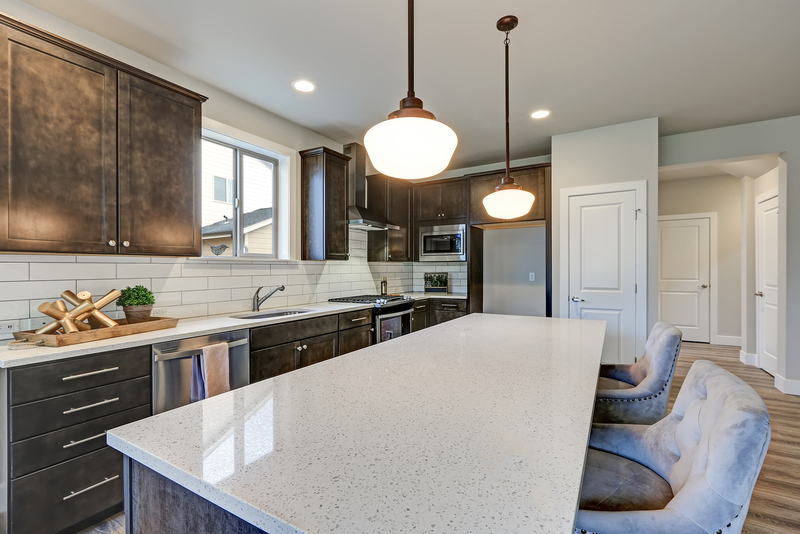 Quartz counters require no sealing, as they are the perfect hybrid of stone chips and resin. It is available in any color and resists damage from heat or kitchen appliances. It is no wonder quartz counters are costly—they seldom disappoint. Marble offers a classic look, with intricate lines and natural detail. Unfortunately, it will stain if not properly and regularly sealed. It chips easily, thus would not stand up well in a bustling household. A budget-friendly option, laminate is comprised of porous wood chips or paper mixed with resin. It comes in infinite colors and styles to work with virtually any design theme. It is mostly resistant to damage, but is vulnerable at the seams. Wooden kitchen countertops are a popular choice, as they offer a natural elegance to an indoor space. The downside is that they require a lot of upkeep—regular sanding and sealing. As its name implies, stainless steel won’t stain. It provides a cool industrial look to your kitchen and is easy to wipe down after every use. However, it does show scrapes over time. Solid surface counters are manufactured to be easily maintained and last longer than most natural countertops. They resist thermal fluctuations, sharp knives and constant exposure to moisture. If you don’t mind the artificial look, these acrylic wonders might be right for you. Remember, the purchases you make for your home have both the power to improve your quality of life and the monetary value of your property. You want to make sure that your dollars go towards the right kitchen countertops. It is always best to hire a professional and rest easy that the job is done right.